The last couple of months have been filled with lots of ACTIVE pursuits! Here's a little peek at what's been going on since my last update in early August. 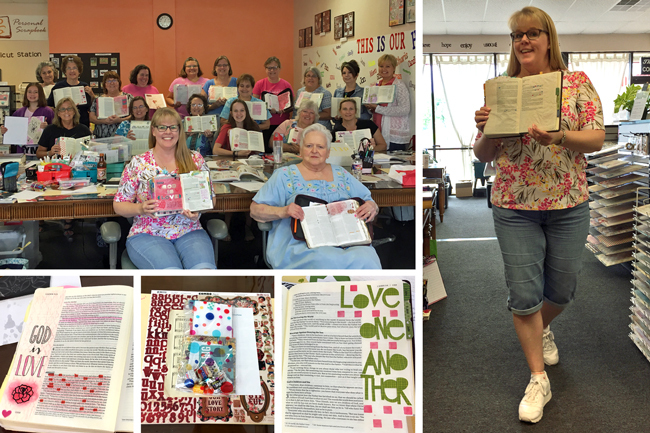 The 1, 2 & 3 John Bible Journaling Workshops at Personal Scrapbook in late August were completely full! I enjoyed spending the day diving into the Word and seeing this beautiful group of ladies (ages 11 to 72!) use their creativity to illustrate the lessons from these three New Testament books. One Saturday in August, despite the heat (95 degrees! 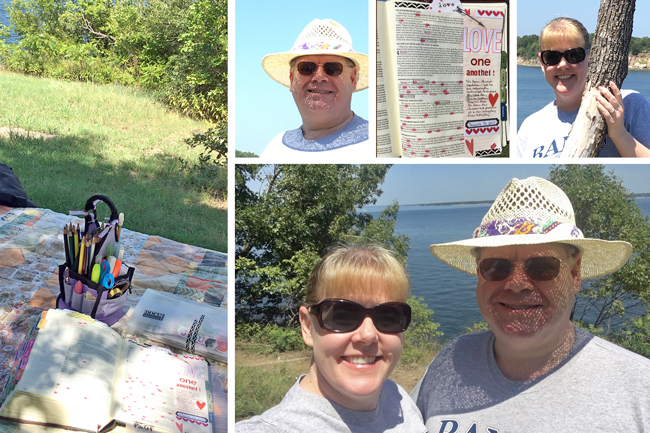 ), we drove up to Eisenhower State Park for a short hike and a couple of hours in the shade. Robbie read while I worked on an illustrated Bible journaling page. On a recent Friday afternoon, I took myself ice skating (there's no rule that I have to wait for one of the nieces to visit to go to the rink, right?). Last weekend, I attended a retreat that I'll share more about in a future post. 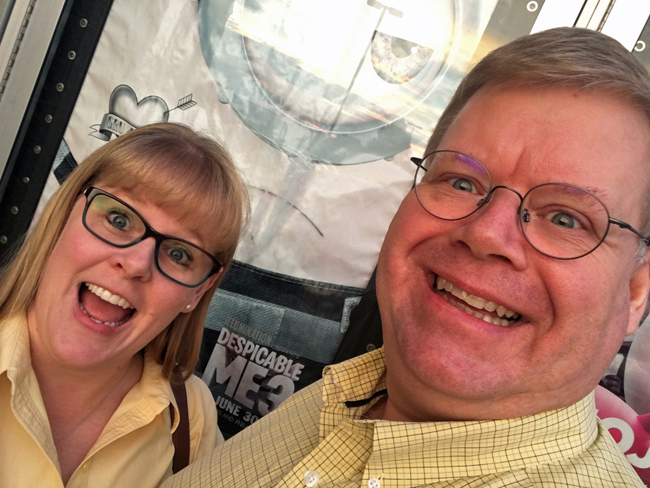 And we enjoyed catching a few new summer movies - Spider-Man:Homecoming and Despicable Me 3! The devastation here in Texas from Hurricane (& Tropical Storm) Harvey was unbelievable. In the Dallas area, we were well north of it, however it was heartbreaking to watch this storm tear through our state. 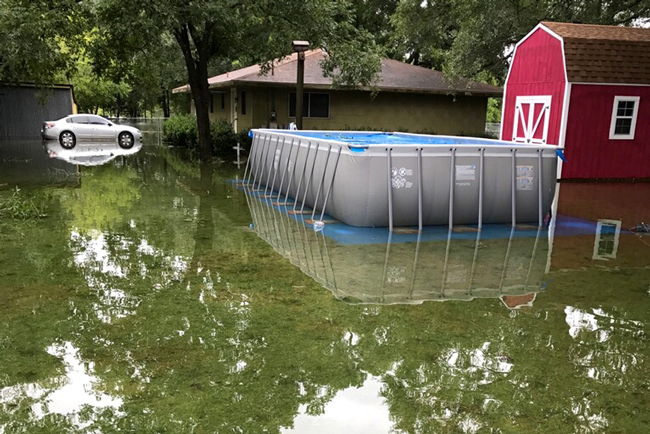 My sister and her family in southeast Texas were surrounded by water! Although they did not get water inside their home, they are still working to get things back to normal after water was several feet deep in their garage and the extra house on their property (where my niece Pun'kin was living at the time). We talked and texted all through the night the storm hit that area as they watched the water come within an inch of the threshold. Here's a photo looking out into their backyard the morning after Harvey. Of course, there have been many other tragic events over the past few months - earthquakes in Mexico, Hurricane Irma in Florida, forest fires in several western states, etc! Many people will be dealing with the aftermath of these disasters for months (and possibly years) to come. 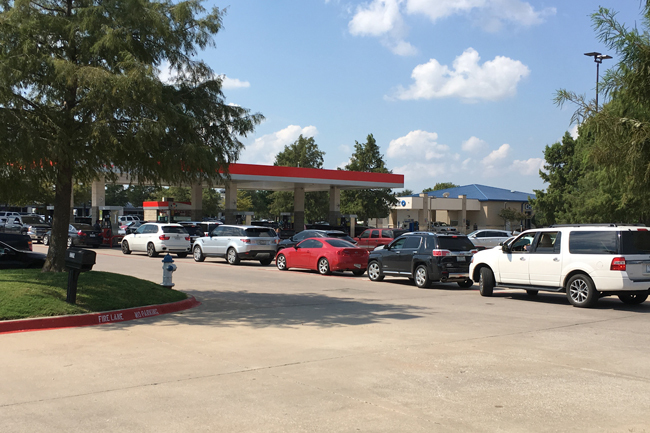 We feel blessed to not have been directly affected . . .unless you count the self-imposed fuel shortage that stormed through our area when the news reported that several Gulf coast refineries were shut down temporarily due to Hurricane Harvey. Honestly, I laughed out loud when I walked to the bank to make a deposit and discovered a line of cars over a mile long waiting to get gas. Over the past few years, our front flowerbeds have gotten in pretty bad shape. After a few years of drought-like conditions and water restrictions, most of the bushes we planted shriveled up and died. I pulled most of those up in the spring, which left plenty of room for weeds to thrive! I had our lawn maintenance crew come out and clean everything out (except the crepe myrtles and rose bushes) and add a layer of mulch. We also had the trees trimmed as several branches were touching the house and others were very low-hanging. 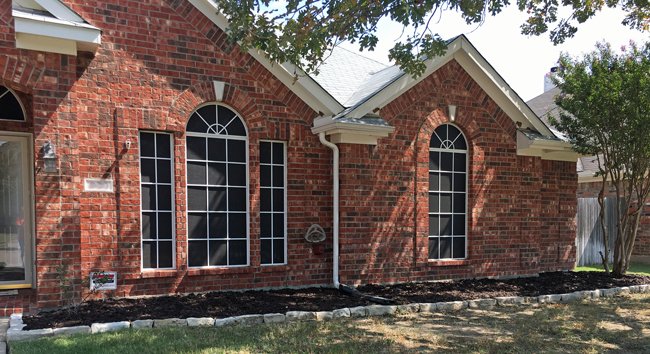 It's hard to tell in the before and after photos (below), but this work made a huge difference. It's so nice to have this work done. The beds will be easy to maintain through the winter and ready for some new plantings in the spring! It's hard to believe tomorrow begins the last quarter of 2017! 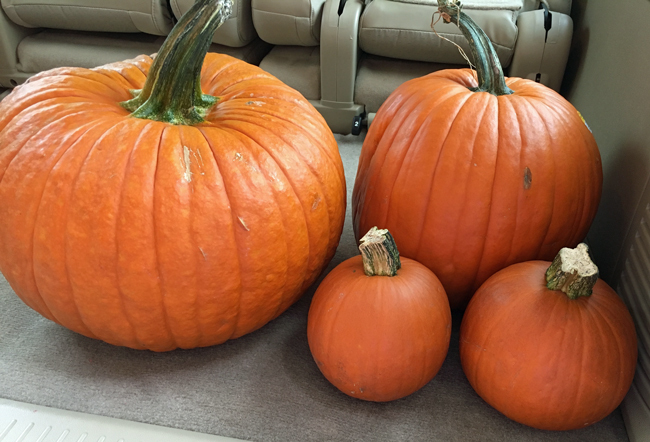 My plans include: (1) blogging every day in October, (2) completing some additional home improvement projects, (3) traveling, (4) celebrating the holidays, and (5) checking several things off my 50 Things To Do Before I'm 50 list. Any guesses as to which items I'll be checking off? Here's a photo hint for one of them! What are your plans for the last quarter of the year? As promised in yesterday's post, today I'm sharing an introductory post with information to welcome new visitors to Daily Life - Bits & Pieces. If you've been around a while and are scrolling this in your reader or email, I hope you'll pop over to the blog and see how this information has been added to the sidebar. I've updated my photo on the sidebar and will be making a few additional changes over the next several days to help with navigation and readability. Here's my introduction! Please let me know what you think in the comments. Is there anything I missed? Hi - I'm Melissa Gross, a dynamic and interactive teacher and speaker called to lead and encourage Christian women in their walk with the Lord. I live and craft and serve the Lord in the great state of Texas with my best friend/husband Robbie. 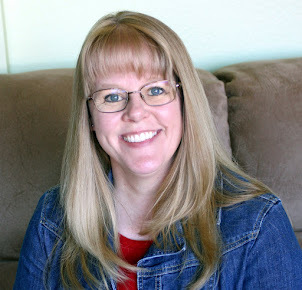 Welcome to my website, where I share our everyday adventures, Bible Journaling pages, scrapbook layouts, handmade cards, and other crafty projects. Here you can learn more About Me, find a list of my Upcoming Workshops & Events, connect with me on YouTube and Pinterest, and check out my progress on the 50 Things To Do Before I'm 50 goals I set a few years ago. I also post photos, ramble about books I'm reading, stuff I'm organizing, our travels, and other FUN bits & pieces of our wonderful life. I offer classes, workshops and retreats incorporating Bible study, devotionals, illustrated Bible journaling, paper crafting and mixed media projects that merge faith and art that bring God’s Word to life so that we can dive into the Word and draw closer to the Lord! If you're interested in scheduling an event, please Email Me for more information. With the exception of that month I took off back in 2013, I've published less posts this month than at any other time during the 7 1/2 years I've been sharing bits & pieces of our daily life here on my blog. And, quite honestly, I've missed it! 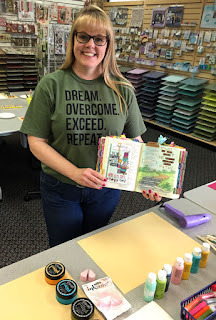 Over the past couple of years, I have become more and more involved and ACTIVE in teaching illustrated Bible journaling workshops and mini-retreats. I absolutely love this new hobby and the fact that I have been able to turn my teaching into a business venture that brings so much joy and meaning to my life. This year I've worked through a few courses with business coaches and have learned a great deal about identifying my ideal client, creating a sales funnel, and building a brand. However, as I've contemplated the many suggestions regarding websites in these classes, I've realized that what I love most about this blog and my little space here on the Internet is that it is a place where I can freely share stories, INSPIRATION, ideas, and opinions, along with my creativity, illustrated Bible journaling, scrapbooking, card-making, mixed media projects, and other crafty endeavors. I enjoy sharing book reviews, photos, our travels, the goals I've set (and achieved), and the results of my latest organizing project. This is a FUN place where I can just be myself as I share whatever and whenever I want. And I've decided to keep it that way! If you've been reading along for a while, you will have noticed more posts about my upcoming events. These types of posts will still appear as I schedule new workshops, retreats, and events, along with posts sharing photos and the creativity of the participants in these classes. Rather than create a separate space for the posts about this one part of my life, I'll be incorporating them in amidst the creativity and other ramblings you've come to expect. In fact, tomorrow I'll be sharing an introductory post that can be pinned to the top of this site to welcome new visitors and let them know what to expect here. 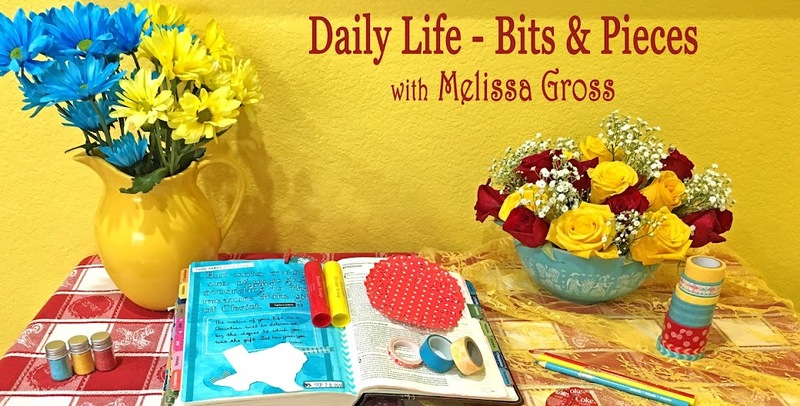 I'm looking forward to many more years of sharing here at Daily Life - Bits & Pieces, just being me, striving to enjoy each day and to serve the Lord in my everyday life! Watch this space over the next few days to learn what I've been up to these past several weeks, what we'll be doing the last three months of the year, and my plans to blog every day in October. The first time a pastor quoted Psalm 37:4 to me, my thoughts went something like this . . . "right, it's easy for you to quote that scripture because everything's ok in your life, you don't have to worry about things like I do right now, you haven't been divorced, you're not living all alone wondering how you reached this place, you're not fighting depression and feeling insecure, you haven't lost your friends and don't have your church family judging your actions, you have no idea what you're talking about!" Of course, I'd been taught to respect my elders and always use my Southern manners, so my actual spoken response was more like this . . . "Yes, ma'am. Thank you for sharing that. I'll just keep praying and believing God for all things." I made a mental note that if somehow I ever found myself in a comfortable place again, where life was going along smoothly and my needs were met and I didn't have to worry so much, that I would never quote that scripture to anyone in a place of desperation seeking comfort and advice! Of course, I've shared this story many times in the ensuing 17 years, along with the story of how God never failed me, never left me, and did in fact give me the desires of my heart. You see, the deepest desires of my heart were to find security, to have connection, and to be loved. I had been seeking those things from relationships with others, from money, from activities, and from material possessions. In reality, only the Lord could fill those needs. Once I surrendered to Him and quit trying to control everything on my own, I found security and connection in His unfathomable love for me. Then, He blessed me beyond my wildest imagination! 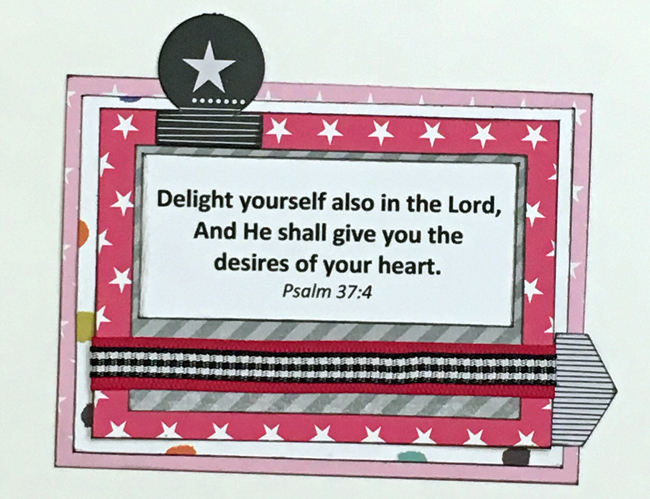 I recently used a Clear Scraps Acrylic & Chipboard round frame to create a mixed media home decor piece using a variety of patterned papers and embellishments to highlight this scripture. I'm excited to hang this piece in my craft room where it will remind me that the Word of God never fails and life truly is delightful when we live surrendered to Him. He alone can fill the deepest desires of our hearts! Have you ever silently resented someone who quoted scripture to you during a difficult time? Please share what you learned from that experience in the comments.